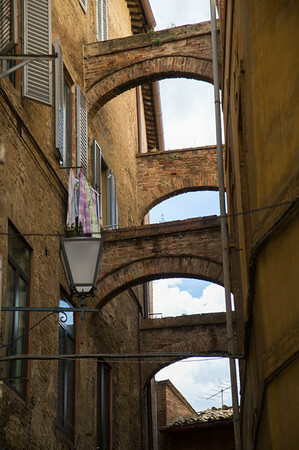 Brick arches cross a typical Siena alleyway. Canon 5Diii and EF24-105 mm f/4L at 84 mm. Exposure was 1/320 sec at f/4.0: ISO 100.